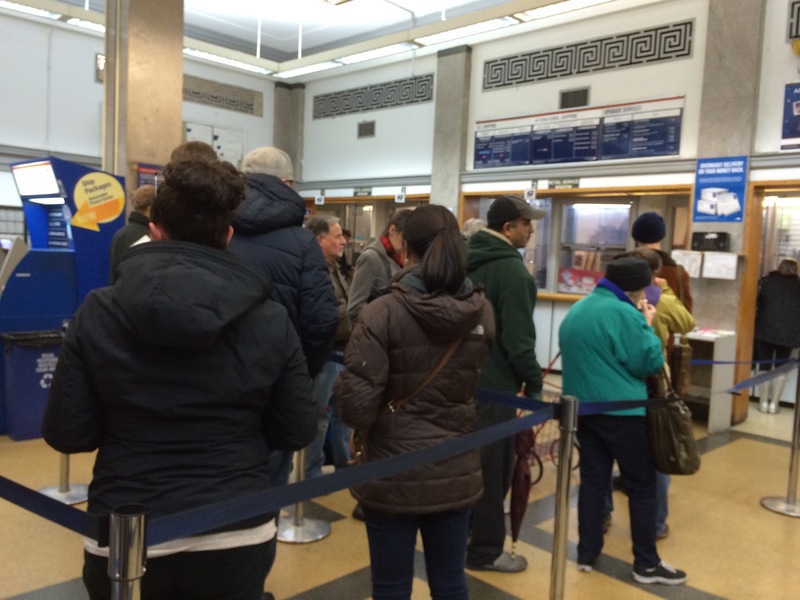 Wordless Wednesday: It’s Not Christmas Without A Visit To The Post Office! It’s that time of year where waiting on line is the norm. Waiting to see Santa, waiting to purchase gifts, waiting for caffeinated beverages, waiting to get on a less crowded subway, waiting to let the tourists take a pic, and my least favorite, waiting at the post office. Sigh. Today I could no longer avoid it. The holiday cards were sitting on the table taunting me. 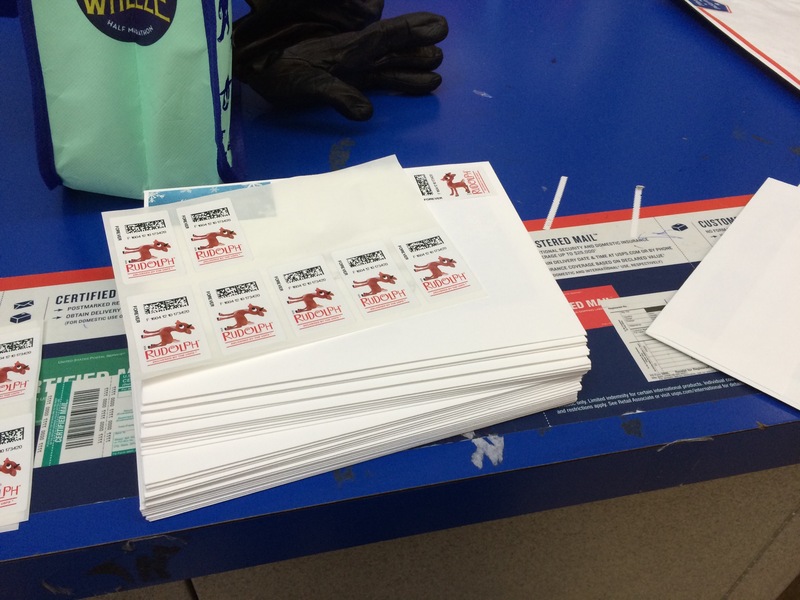 They needed stamps. Half of them needed the dreaded “international” stamp. I HAD to go to the post office. 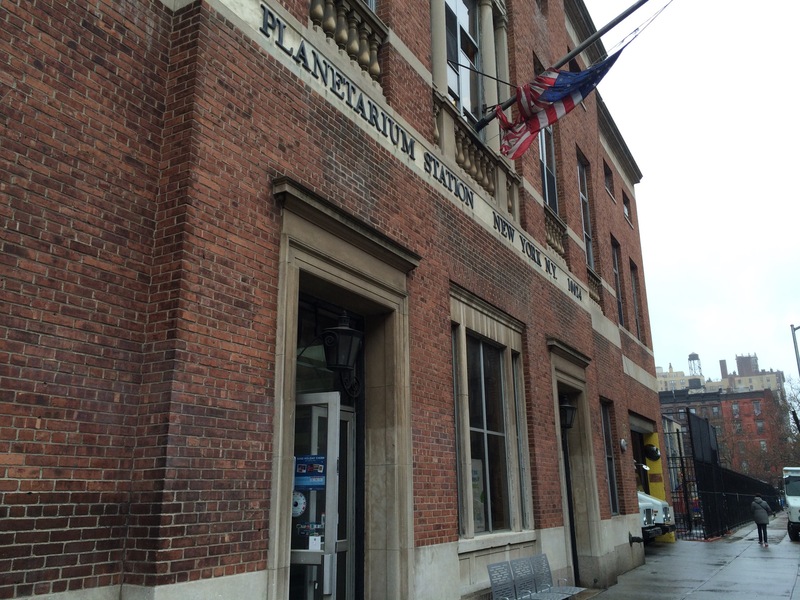 Here in Manhattan they disguise the post offices in nice buildings so that you think all will be okay. But then you walk in and find an enormous line which you know from experience is at least an hour wait time. 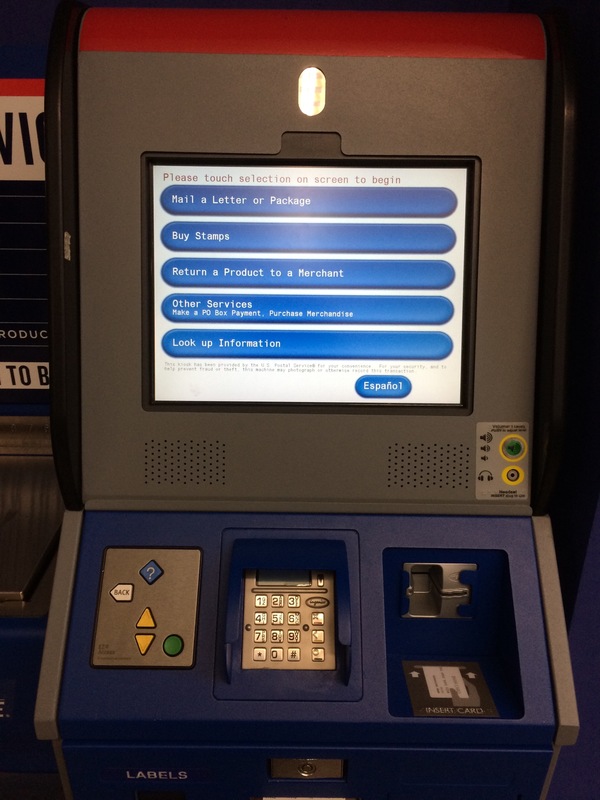 But then you remember the beautiful self service kiosk. It is a life saver. Even though it only prints out 5 international stamps at a time it saves you at least 45 minutes. Victory!!! I just love your attitude, enthusiasm, and resilience! Wishing you and your family wonderful holidays and another great new year in the world’s most exciting city. Thank you so much! Wishing you and your family a wonderful holiday as well. Cheers!